UPDATE: Make sure to scroll to the bottom for an important update that I added just before posting this blog post… Then scroll back up and read the rest haha. Happy New Year! As 2014 comes to a close, I figured this would be a good time to take a look back at what I accomplished. This is 2014 In Review. The first and most obvious thing was the release of the music video for “If Only Tonight I Could Sleep” and its fundraiser. We raised a lot of money that helped in getting the word out about the video, album and my music in general. The video itself got such great feedback from all across the internet. It premiered at the REEL Recovery Film Festival which was just perfect considering the subject matter of the video. People there really loved it which was a beautiful thing. It then went on to win Best Music Video at the Pollygrind Film Festival, where a year prior I won Best Experimental Music Video for my “Lights In The Sky” music video. Overall, we didn’t get into as many film festivals as we had hoped, but the feedback from the places it did play was all amazing and we still have some more we’re waiting on results from for next year. While “If Only Tonight I Could Sleep” was the big defining project of my career in 2014, I also did a lot of other great, exciting work. The first thing that comes to mind is all of my work with House of DON Productions and director Doug Farra. Aside from “If Only Tonight I Could Sleep,” Doug also directed “The Gradations of Purgatory,” “The Milkman,” and “Cho5en,” as well as some other smaller projects that I worked on. These three though were some of the coolest films I worked on this year and really gave me an opportunity to create some great music. I’ll be working on Doug’s first feature, “Finding The Truth” in 2015, as well as another music video for one of the songs on my second album. I also worked on a couple of other great films from regular House of Don collaborators: Jeremy D Brooks’ “Jasper,” and Brian K Palmer’s “Spring Forward.” The premiere of “Jasper was a really fun night at the Vegas Indie Film Fest, and “Spring Forward” premiered at the Las Vegas Black Film Festival which was also a great time that I got to meet a lot of cool people at. Speaking of film festivals, one of the most fun weeks of the year was my trip to FilmQuest at the Salt Lake City Fantasy Con. I posted a blog recap of the event where you can read all about the craziness that happened there. My music video “Broken Circuits,” was nominated for Best Music Video and the whole trip was just an amazing experience. 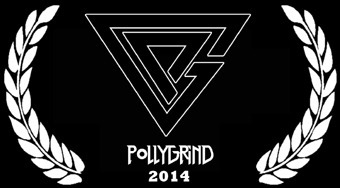 Pollygrind was also a great time this year, as it always is. The festival organizer (and my buddy) Chad says that he may be taking a year off from Pollygrind, but I hope it comes back ASAP. It really is the most fun film festival ever. I worked on a bunch of other great films this year too. “Pathos” from director Eduard Ospiov was entered in the Project Greenlight competition and made it to the second round. It was nice getting to work with some new people on that one. I also started the year off working at last minute with my friend David Michor on his short “The Hoarder” which ended up being one of my favorite scores I’ve done. I then ended up working with the DP from that film on my first 48-hour film competition with a film called “Dig.” It was a wild experience scoring a short film in one morning, but it came out pretty damn great. There were also some various for-hire composing gigs I did this year. Not as many as 2013 to be honest, but I at least kept a solid momentum going. Hopefully that side of the career will pick up next year. In the meantime I did get more of my music accepted into some music libraries, so hopefully some of that stuff gains some traction. Which brings me to album number two. I made some of the best music of my life this year. I didn’t expect to be ready to release a 2nd album so fast, but it is coming and it’s coming soon. The album is probably 90% done. Album title and album cover are set. Tracklist is set. Songs are basically done. Just gotta really sit with the album, make sure I’m happy with everything, and then master it. I’m expecting to release it in the first few months of 2015. The first music video off the album will be for the track “Dreams Like These” and will be online on New Years Eve. And that leaves me at 2015. I am ready to work on some amazing new projects. I actually have 3 features I may be working on (as well as “Finding The Truth” which is already set). So right off the bat, I’m gonna be plenty busy. I also have some ideas for more music videos, and I’m hoping to make those happen. More jobs, more music, more everything. I can’t wait. UPDATE: Well well well… Guess who forgot to post his 2014 Year In Review wrap-up before 2015 hit?!? Haha. So it’s the 1st… My new music video is out, and the new album title and cover have been revealed . But that’s not all… Right before New Years Eve I found out that “If Only Tonight I Could Sleep” was chosen as an Official Selection for the Dam Short Film Festival in Boulder City! I am super excited to head back there, as I had a great time last year when “A Moral Discord” played. I’ll also be announcing very soon another festival that it was accepted to. Great way to close out the year! If you haven’t already checked it out though, make sure to check out the new video, “Dreams Like These” over on Youtube and make sure to leave a comment! I am so excited today to finally bring to you the first of three interactive music videos created by my good friend and frequent collaborator Ryan Daugherty (aka Sharmandra)! Hopefully if you’re a regular visitor of my site you know about my first 2 videos off the Echoes In The Dark album: the multi-award-winning “Lights In The Sky” and its follow-up “Whirlwind.” Well joining them now in the VIDEOS section of my site is the interactive video for “Reveal” which you can also access by clicking the image below. Playing with the video is as simple as clicking the mouse, moving the mouse and clicking some more. Play around and experiment to see how your actions affect what you see. Some of the things that happen are predetermined and happen no matter what you do, but the rest of it is determined by your actions, and everything blends together into a trippy, awesome interactive experience. These videos were an idea I had since before the album was complete and Sharmandra really brought them to life. So please check them out, SHARE THEM, and let us know how you like them! Also, please note that they are intended to be played on a computer with a mouse but will also work on a laptop, but not on smartphones/tablets… Maybe in the future! 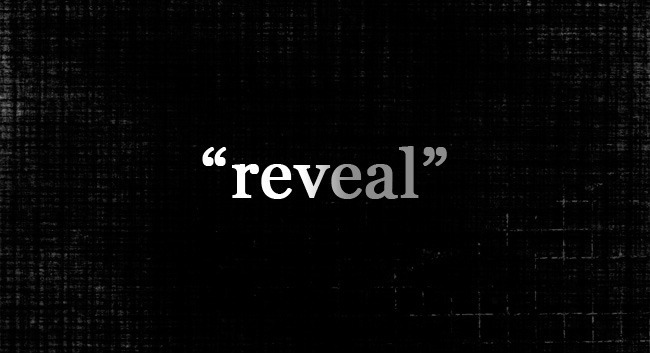 Following “Reveal” in the next 2 weeks will be two more interactive videos for the tracks “Embers” and “Dark Rain,” both from the Echoes In The Dark album which is available from iTunes, Amazon, Bandcamp and everywhere else (for a full list, check out the ALBUMS section). In 2014 I’ll be following these up with the next full music video which is for “If Only Tonight I Could Sleep” and then… Well, who knows what happens next, but you know you can check back here to find out.